One week into Spring and we’ve already shopped for my kids’ Easter outfits, hunted for eggs, and met the Easter bunny. With just three weeks until Easter, I’m slowly tackling my to-do list which includes planning our Easter brunch and putting together Easter baskets. For many years, candy was the mainstay of Easter baskets, and even today, my kids expect some type of sweet treat. But current trends show that people are leaning more towards candy alternatives for both kids and adults. I personally love the idea of gifting an Easter Basket with flavorful snacks and items that will last long after Easter Sunday has passed. 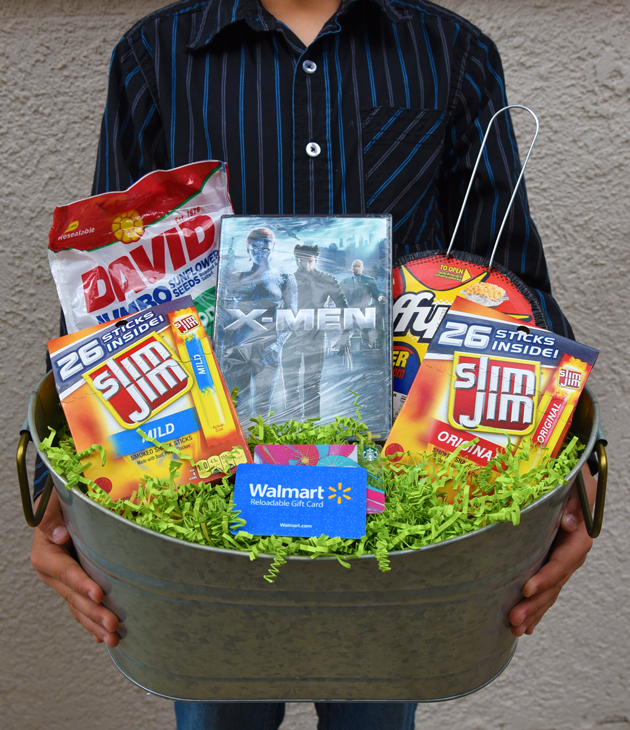 Easter Basket for Guys – Make it Boss! Easter baskets have traditionally been focused on kids. But many families want to celebrate everyone in their family, including that special guy. Today I’m sharing an easy DIY Bold Easter Basket guys will love along with some ideas for creating your very own. Think beyond the traditional Easter basket. Does that special guy in your life enjoy cooking? Consider putting all of his favorite items in a new pot, bowl or colander. Other “basket” ideas include buckets, gardening pots, boxes, bags, or even a watering can. Snacks are a mainstay of Easter baskets, but those snacks don’t have to be sweet to be enjoyable. 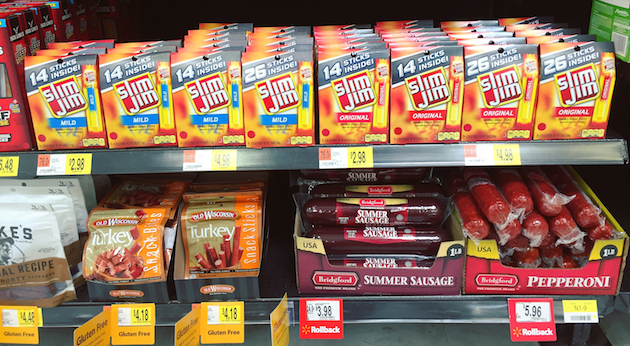 Men, in particular, love Slim Jim Smoked Snack Sticks. These snack sticks are bold and intense in flavor, easy to take on-the-go and 100% guy-approved. These snack sticks are available in Original and Mild and available at your local Walmart in the snack aisle. 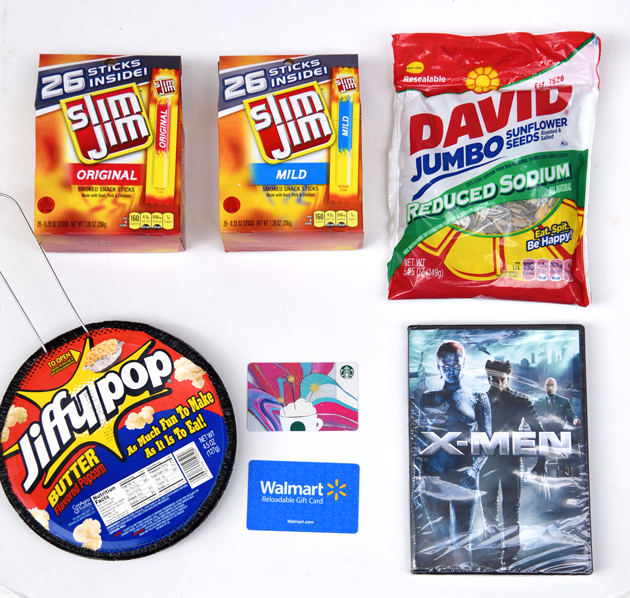 Compliment Slim Jim Smoked Snack Sticks with DAVID seeds, Fiddle Faddle, Poppycock, Crunch ‘n Munch, Jiffy Pop, and Orville Redenbacher Popcorn. 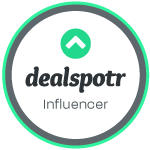 For the Cooking Enthusiast: Include an assortment of kitchen utensils, an apron, an oven mitt, a cookbook and a Walmart gift card. For the Auto Enthusiast: Include a travel mug, a car care kit, a mount kit (for devices), and a Walmart gift card. For the Fitness Enthusiast: Include a set of ear buds, a workout towel, a new workout outfit, a reusable water bottle and a Walmart gift card. For the DIY Guy: Include a tool set, a power screw driver, gloves, a work belt, and a Walmart gift card. 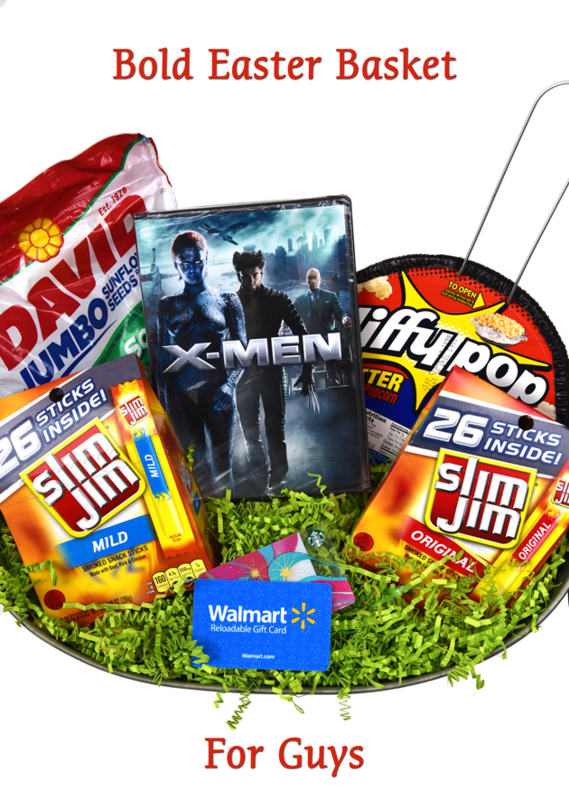 Through April 16th, 2017, you can enter to win a $100 gift card in partnership with Slim Jim and Walmart. 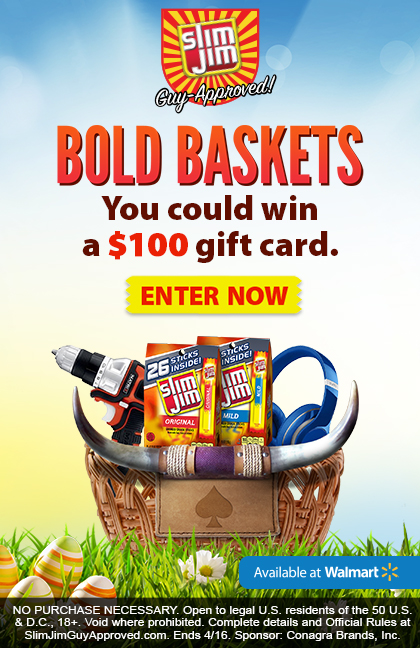 Simply visit their website to create your very own virtual Bold Basket for a chance to win. 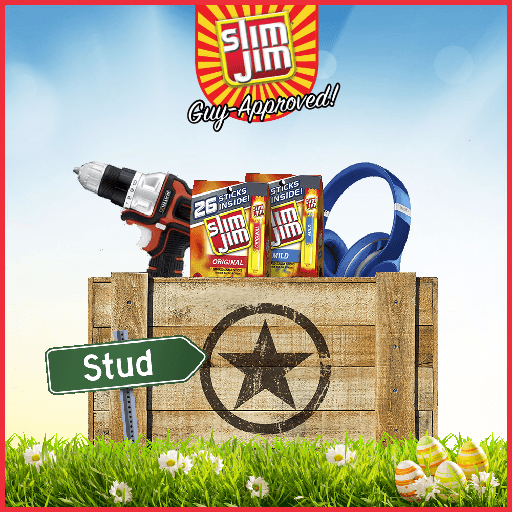 Share your basket online with friends and family using the hashtag #SlimJimBoldBaskets.